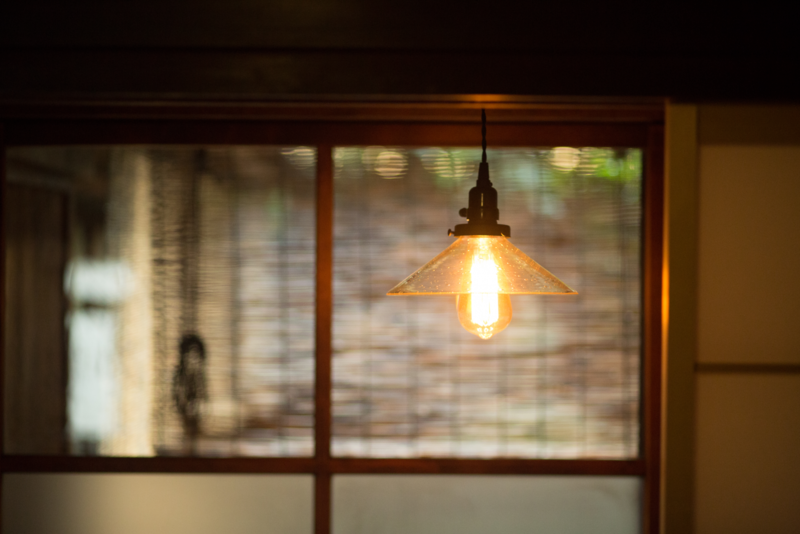 Located on the first floor this tea room gives you the experience of a Japanese room with a beautiful view of the garden. 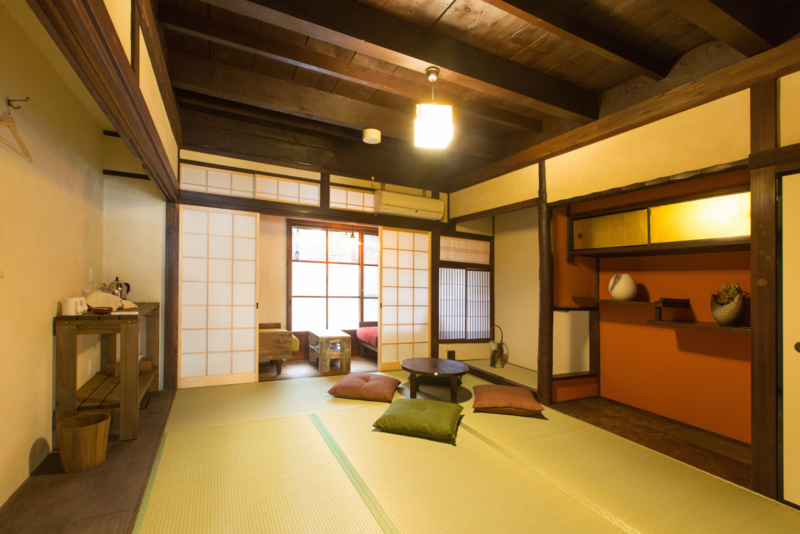 The small room comes with a double futon and is in the very back of hachi. A number lock on the door gives you the privacy and safety you need. 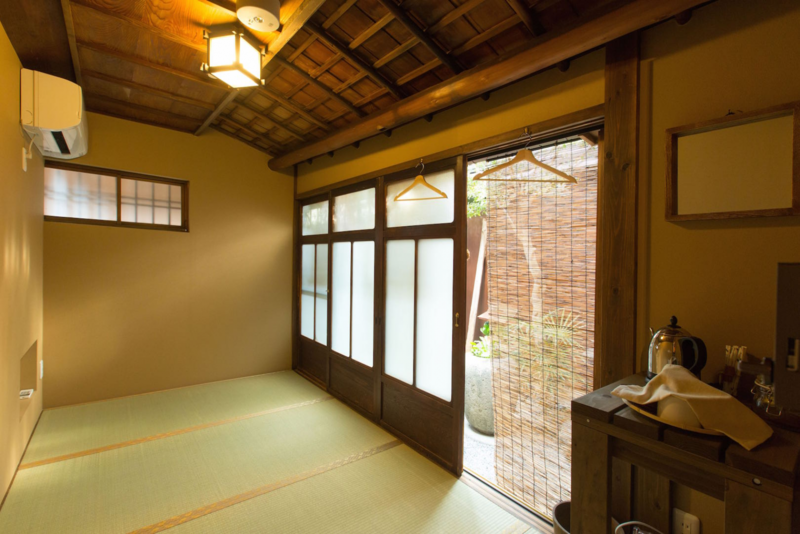 This Japanese style room is on the first floor and has access to our garden. to enjoy your cup of coffee or tea while enjoying the garden. 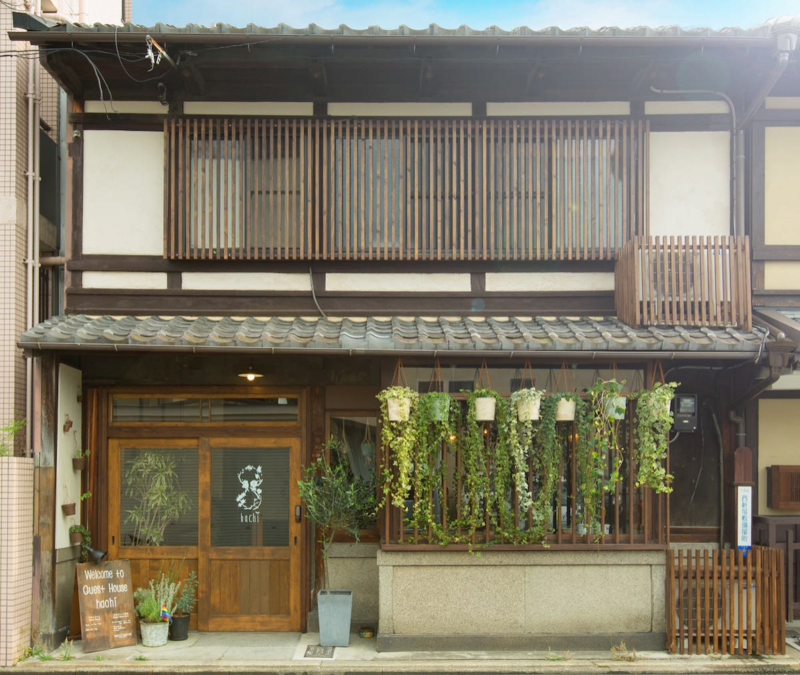 If you want to book the room for 4 people, please contact us. 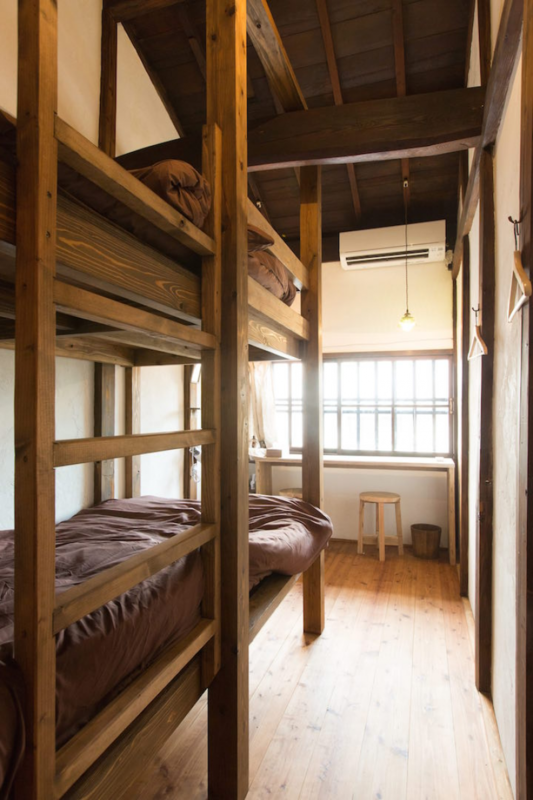 Please note that when 4 futons will be prepared for sleeping, the room may feel a bit cramped. 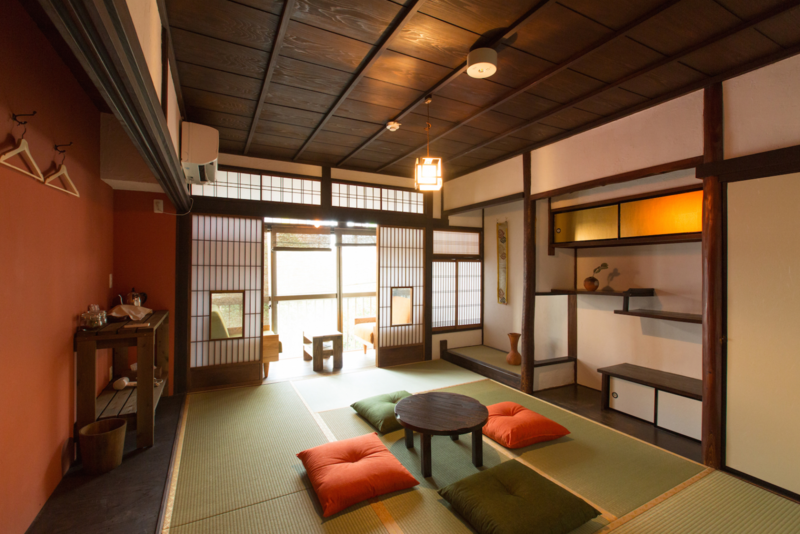 This spacious tatami room gives you the experience of a traditional Japanese room. to enjoy your cup of coffee or tea. Please note that when 4 futons will be prepared for sleeping and the room may feel a bit cramped. 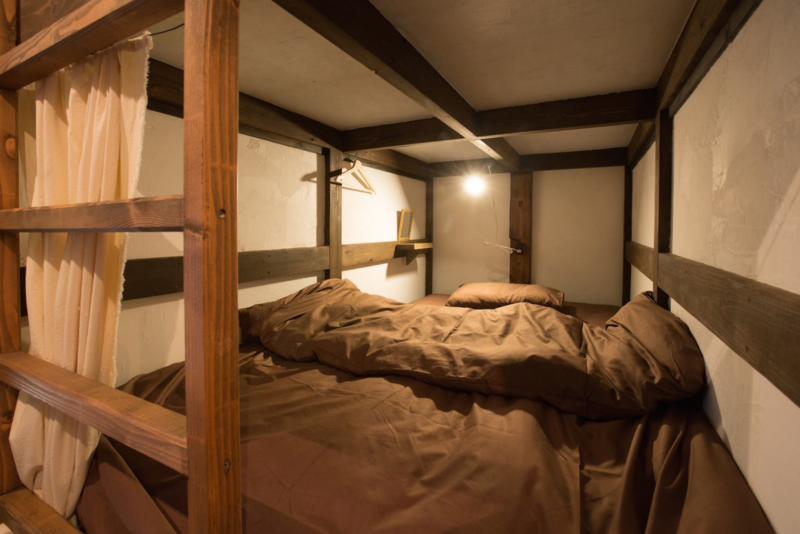 This beautiful room with one bunk bed is on the second floor and comes with a number lock for the door. 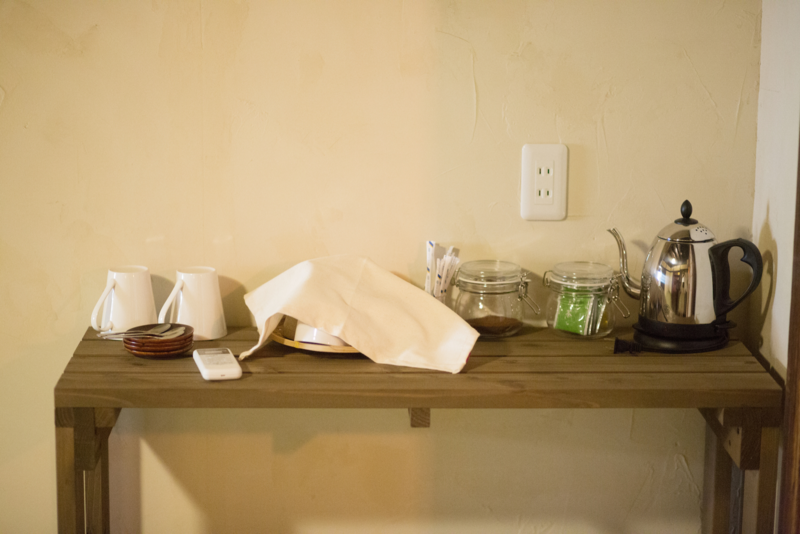 At the counter for two people, our guests can work or relax while enjoying a cup of tea or coffee. will give you the opportunity to relax. 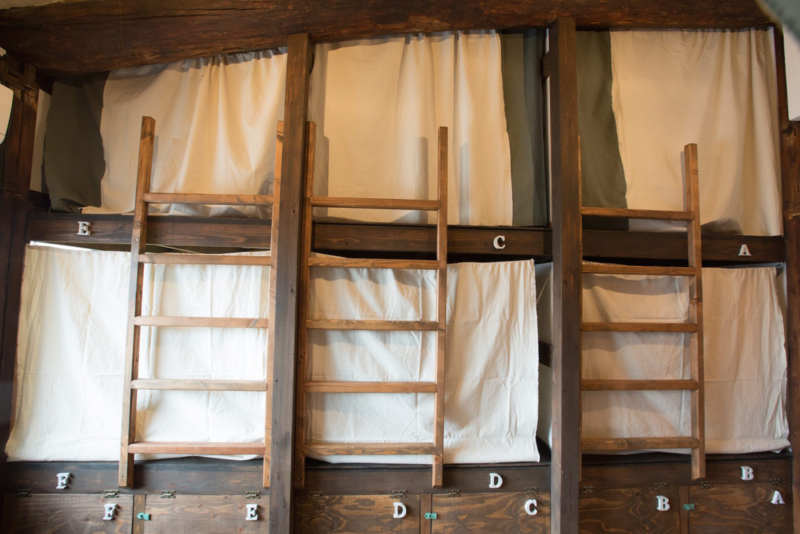 Under each bunk bed we provide a locker for your luggage.